Why Choose Martin Body Shop? Free Towing! If your insurance company won’t cover towing to our body shop in the event of disabling collision, WE WILL! All we require is that you call us to arrange towing with our preferred partner, within 10 miles of our facility, and you have any required repairs performed by us. *Must own vehicle being towed, be a licensed driver, and have a comprehensive coverage. Up to Two Days Free Rental Car! We will make claim to your insurance company if rental car privileges are covered. If they are not, we will provide up to two days free rental car while your car is being repaired by us. Rentals beyond two days will be charged at our discounted rate. *Applies to a standard mid-size car, rented through Enterprise Rent-A-Car Co., subject to their standard rules and regulations. Customers must have “full coverage” insurance. Gasoline is not covered, and is the responsibility of the customer. At Martin Body Shop we offer Lifetime Guarantee on the work in writing! On-Time Guarantee, or we pay for the rental! If Martin Body Shop is late on promised completion date, through our own fault or error, we will provide a no-charge rental to our customer. Under Kentucky State Law, the consumer has the right to select the Body Shop of their CHOICE for collision repairs. You are not required to obtain multiple repair estimates. Inform your insurance agent/company. Be sure to request a claim number. Next, contact us and we will guide you through the simple process to expedite your repairs. We are designated as a “Direct Repair Shop” for most insurance companies. This designation enables us to expedite the repair of your vehicle. 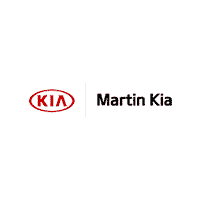 *The promise date will be solely at the determination of Martin Body Shop, after frequent, common delays not within our control are excluded, such as parts availability issues, insurance company supplement approval delays, non-usable parts, delays by sub-let vendors. If it is our error it is our intent not to charge our customers.